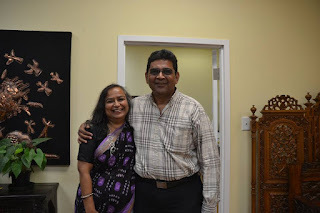 Recently, SAWITRI Theatre Group celebrated its 15th anniversary at the Art Gallery of Mississauga at a glittering program attended by theatre connoisseurs and friends of SAWITRI’s dynamic founders Jasmine and Nitin Sawant. The theatre group has been an important part of my personal journey in Canada in the last decade. It reintroduced me to the theatre and gave me an opportunity to enjoy the tremendous joy one experiences when actors perform on stage. The first time I heard about SAWITRI was when Jawaid Danish invited me to Rang Manch Canada’s Hindustani Drama Festival in 2011 that he held in Mississauga. Jasmine and Nitin Sawant and Shruti Shah were present at the roundtable discussion held prior to the festival Challenges of Staging Indian Drama in Canada and Experiences of Desi Talents in Mainstream Showbiz. About a year later, SAWITRI performed its play Saree Kahaniyaan (The Saree Stories) written by Jasmine, performed by Shruti and Naimesh, with Jasmine as the sutradhar (narrator). Since then, I’ve tried not miss a Sawitri play. The group has mounted a major play and several smaller staging annually. 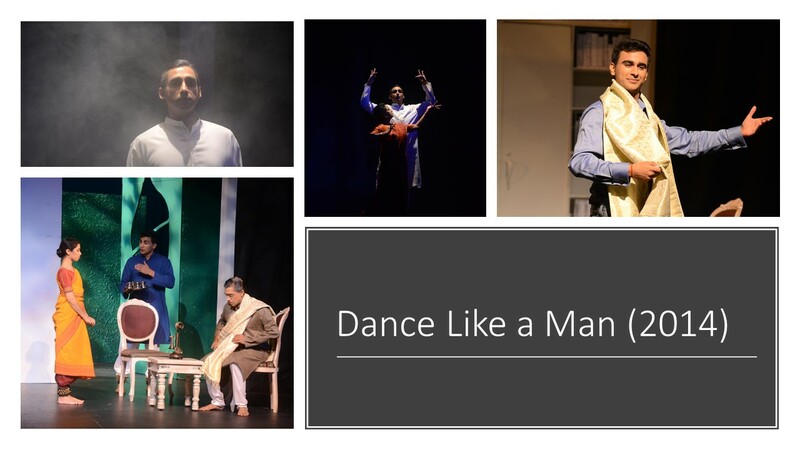 Over the years, the group has created an audience for South Asian theatre and shaped the sensibilities of this audience by providing it with a rich variety of theatre experience in all the major contemporary languages of Bombay – Hindi, Marathi, Gujarati and English. Recently, prior to the celebrations of its 15th anniversary, I had the opportunity to sit with Nitin and Jasmine and chat with them at length about their group. The group's name is an acronym. SAWITRI stands for South Asian Women's Intercultural Research Initiative. It's also derived from the character in Mahabharata. Jasmine is clearly the driving force behind the group, although she readily admits that too many supporters have played a crucial and critical role in making SAWITRI the institution that it has become today. Among their steadfast supporters is legion of friends who have become an integral part of the group and includes the legendary Lata Pada, the globally renowned danseuse and the artistic director of Sampradaya Dance Creations. Among the supporters that Jasmine and Nitin acknowledge for having contributed tremendously include Prakash Date, who directs all the Marathi plays that SAWITRI produces. Keyoor Shah is an integral part of the team who takes care of the technical aspects of the production and is also a member of the set-building team. Jasmine and Nitin also acknowledge the role of the co-founder Shobha Hatte-Belgaumkar who was a part of SAWITRI for the first 5 years, as was Nain Amyn who took care of wardrobe, make-up, etc. After 5 years, they both wanted a bigger canvas to express themselves. Shobha moved on to pursue her own acting career and Nain moved on to become a part of Mosaic Festival along with Asma Mehmood. Aniruddh Sawant was one of the founding directors of SAWITRI along with Nitin and Keyoor when SAWITRI was first incorporated. Jasmine recalls, "No matter where he was in the country he always flew back to see a SAWITRI performance and had solid and spot-on constructive criticism's to offer which went a long way in improving the quality of our performances." He was a Drama Major from Cawthra Park High School and a tremendous artist. "I cannot tell you how much we miss his feedback," she says. Apart from auditioning and acting in SAWITRI productions when he is cast, Siddhant (Sid) Sawant is responsible for the photoshoots for our posters and many a time for providing music for the productions. He too is a Drama Major from Cawthra Park High School. Both Jasmine and Nitin derive tremendous satisfaction from their success and the journey that they commenced in 2003. Shruti has been an integral part of their journey. The Group was keen to produce socially relevant theatre; in 2006, it produced the powerful women-oriented play From Here to There (Janice Goveas). A year later, the group was registered as a not-for-profit, with a board of directors. Jasmine and Nitin teamed up with Prakash Date to produce तो मी नव्हेच for the Marathi Bhashik Mandal. Subsequently, in 2009 SAWITRI produced Mahasagar, its first Marathi play. It was directed by Prakash Date. Without ceasing its shorter productions, the Group was now keen to do major plays. In 2011, during the Festival of South Asian Literature and the Arts (FSALA), the Group met Mahesh Dattani, the renowned Indian playwright who has an awesome global reputation for writing powerful plays on contemporary issues. The first collaboration between SAWITRI and Dattani was Where There’s a Will. 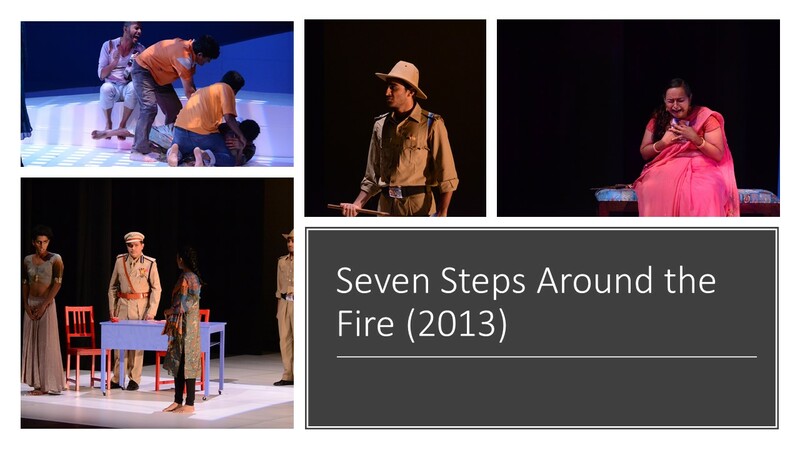 Subsequently, it also staged Seven Steps Around Fire and Dance Like a Man. Both Nitin and Jasmine take pride in discovering and nurturing talent in different spheres of theatre – from direction to production design and from stage lighting to costumes. Gabriel Grey, Christina Collins, Joe Pagnan are some of the professionals who are regularly involved with SAWITRI productions. A self-funded entity for most of its existence, the group has managed to get some official grants lately but such grants cover generally about 20 percent of the entire production cost. As a not-for-profit, the group distributes all the extra resources generated amongst the professionals who work to put up the performance.